sock prØn. : of carrots, horses, needles and yarn. Gotta love that up the skirt shot. Makes me want to try colorwork. Oh no, another sock pattern! So many patterns, so little time! It's looking fabulous, though. I thought I was prefering 2 circs over the magic loop, but last time I used that method, I couldn't stand the dangling needles. I don't mind the loops. Your afghan is looking amazing! Colorwork is looking great! 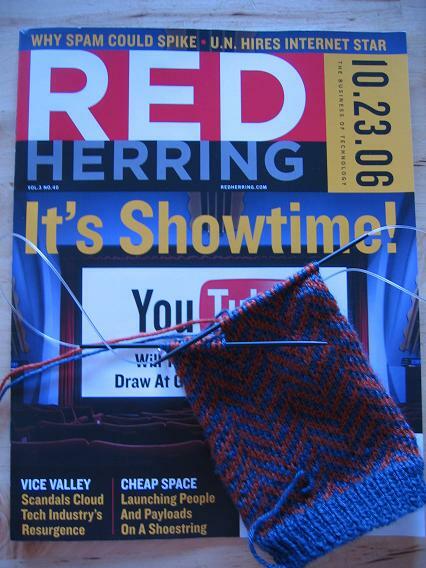 Are you still planning on mirroring the herrings? LOL! There's a colorwork sweater pattern I have my eye on for the boys. If I do decide to go for it, it will definitely be after Christmas! Great progress on your lizard ridge!! WOOHOO!! Keep up the good work! Soo jealous I haven't seen that gloss yet.. Drooling! I need to get over to KP again soon! Looking good! Love the Regia Bamboo! ! So nice!! Is it as nice as Regia silk sock yarns too?? love your knucks and that little baby sweater! fun! 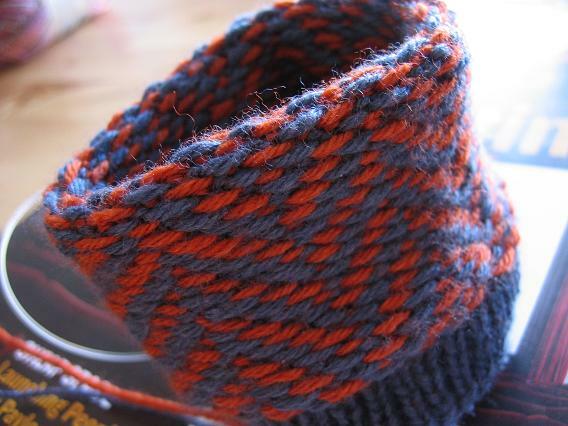 if you feel that you get a "seam" in the round, alternate the stitches between needles. can't wait to see lizard alll done!!! Damn, you have been pumping out that Lizard Ridge! At this rate, you'll be done in no time. Your colorwork looks ridiculously even. Mine was a mess before blocking! I love your colorwork! Gorgeous! Lizard Ridge is looking awesome! Nice knucks, and your Red Herrings..wow! Interested to see what the bamboo ends up being :)and your thoughts of knitting with it. 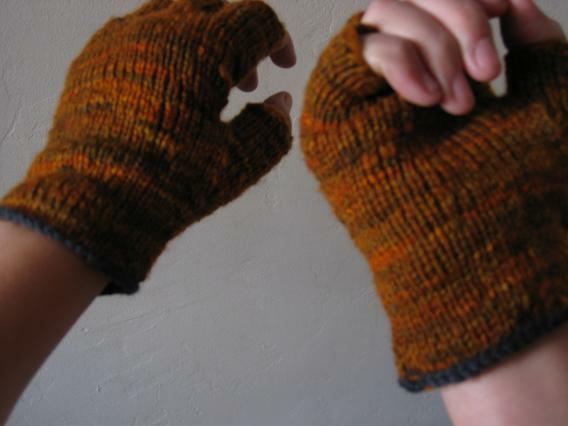 I love the edging on your fingerless gloves. 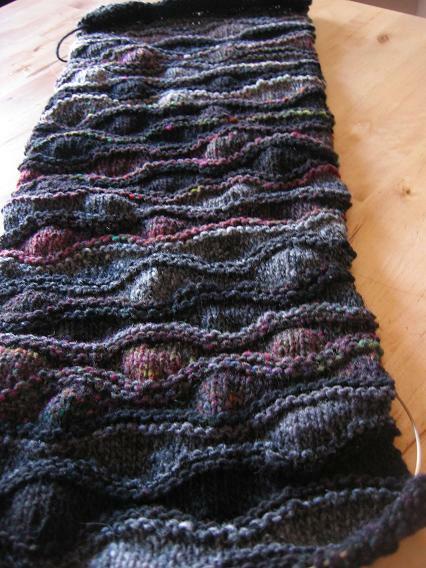 Isn't it amazing how "mistakes" like running out of yarn can be magical? Wow!! 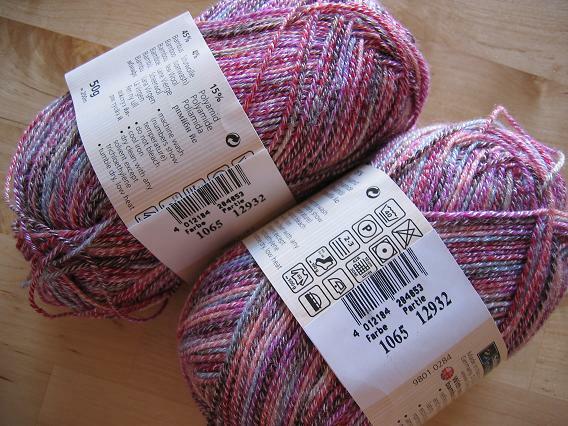 Your colorwork is looking fab! I adore Cookie's patterns. I can't wait to see yours all knit up! I prefer knitting with magic loop. Sometimes the loops get in the way, but if the cable is long enough I can stop that by putting my hands through the loops when I hold the needles. Unless that makes the touchy-loopy thing even more unbearable. At any rate, *never* quickly reach for the remote control if your hands are entwined in the loops like that. You've been warned.